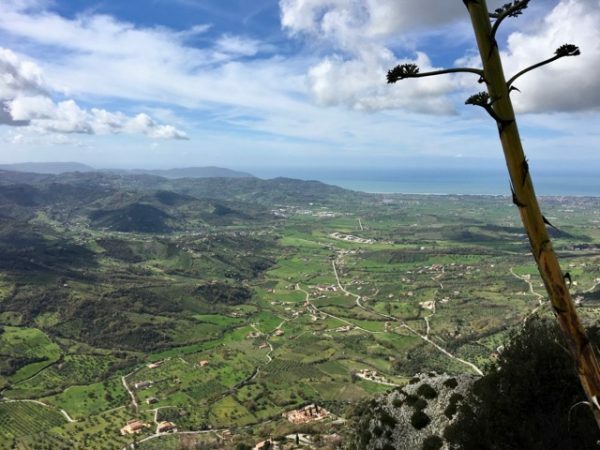 ← Why Should You Visit Sicily? 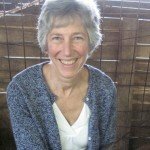 As a tour designer and guide I don’t get many opportunities to experience what it’s like for you to travel to a place you’ve never been to before. The only chance I have is when I research a new tour or course. And I did just that this month. I want to offer a mozzarella course. 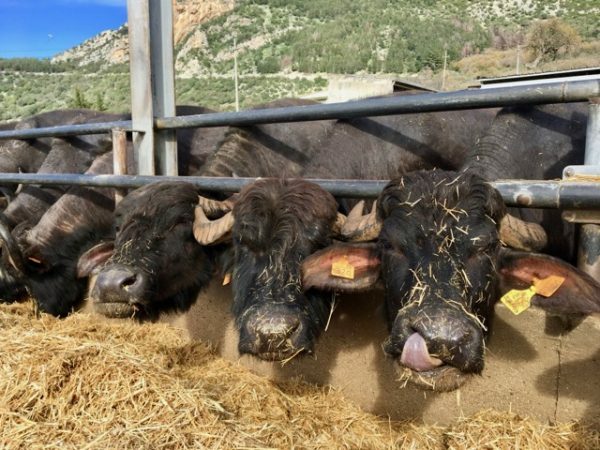 Since we don’t make mozzarella in Tuscany (not properly, anyway), I had to go to Campania in the south, the home of water buffalo and birthplace of mozzarella. You probably know Naples, Pompei and the Amalfi Coast, but I hadn’t even been to any of these. It was a bit daunting going south of Rome to the infamous Mezzogiorno of lawlessness. But I had a big advantage over the average tourist: I had locals to show me around. I had met a Scottish woman on a Ryanair flight from London Stansted to Pisa. Her Italian husband was from the province of Salerno, just south of Naples. I knew that Salerno and Caserta provinces were famous for their mozzarella. 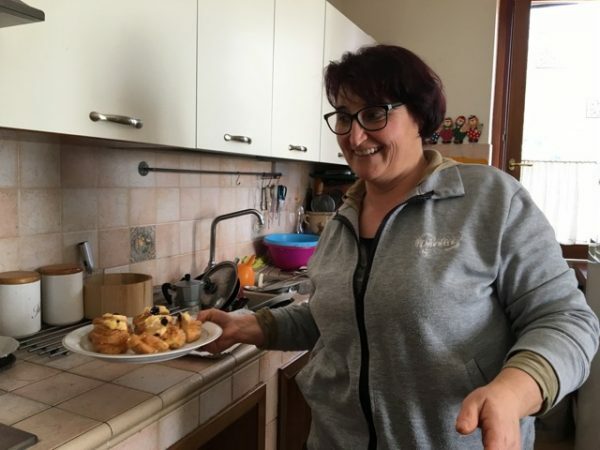 When I told her of my plan, she said they live in Florence now, but her husband knew the Cilento area inside out (central and southern part of Salerno Province). A couple of months later I found myself at Santa Maria Novella station in Florence, boarding a train bound for Salerno with Audrey and Enrico. 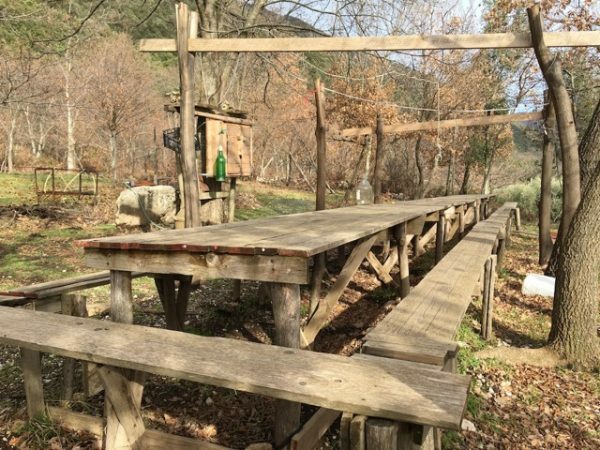 I was to stay at their house in Trentinara. 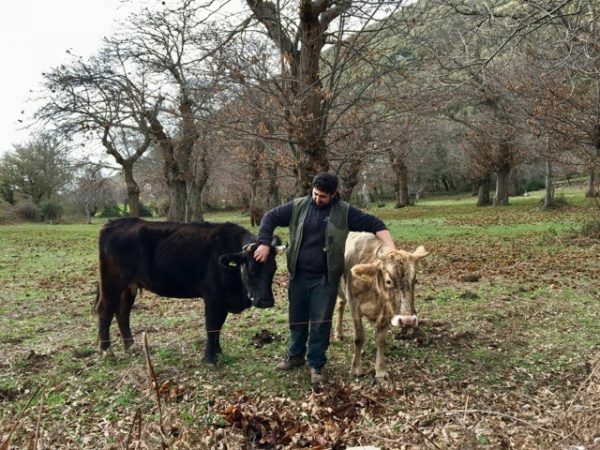 They were renting a car and they were going to introduce me to owners of agriturismi (farm accommodation), a mozzarella dairy and restaurants. Everything I would need for the course. First a stop at an agriturismo Aia Resort Cilento owned by Vincenzo, an architect friend of Enrico’s. 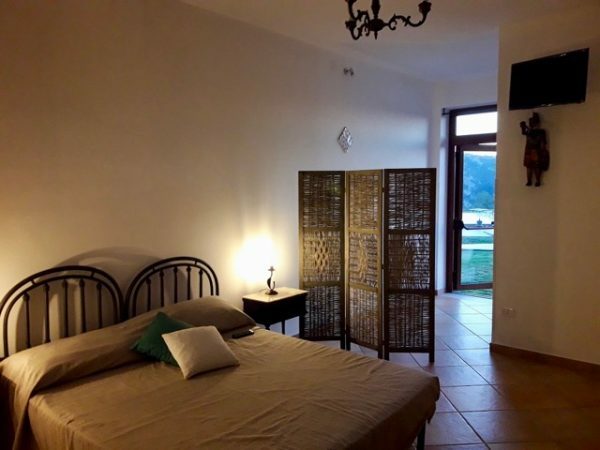 It’s perfect for the course: tasteful rooms with private baths, a swimming pool, pizza oven and BBQ. 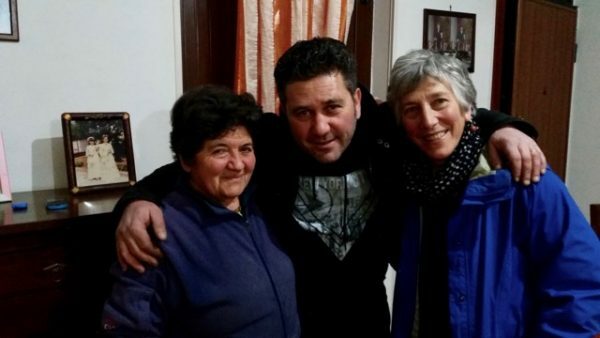 It was after dark when we arrived at their house and, while Enrico lit the fire, Audrey took me next door to meet her mother-in-law Antonietta. 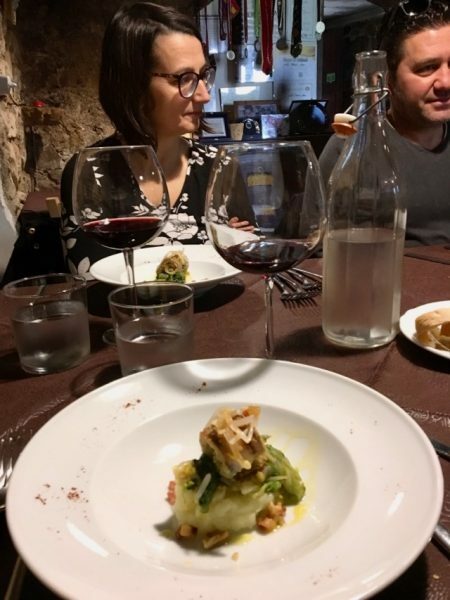 Even though we planned for dinner to try the restaurant owned by Enrico’s cousin, it was compulsory to sit down at the table to sample Antonietta’s stuffed artichokes (carcioffule ‘mbuttunate), lately picked from her garden. I had to forcibly prevent her putting two on my plate. 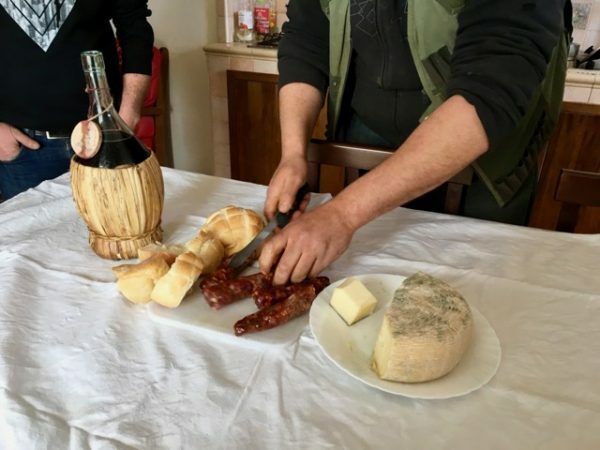 The next morning we met my cheese and salumi courses colleague Giancarlo Russo, who had arrived separately, and proceeded a short distance down the road to a private house to meet Lilla and her son Antonio La Mura. Lilla is a great cook (as it seems is everyone from this area) and might give a short cooking lesson either during the cheese course or during an optional extension before the course. We gathered around the table in the kitchen to talk. But no talk without food in these parts. Antonio went to the cellar and came back with his own salsiccia (air-dried sausage). 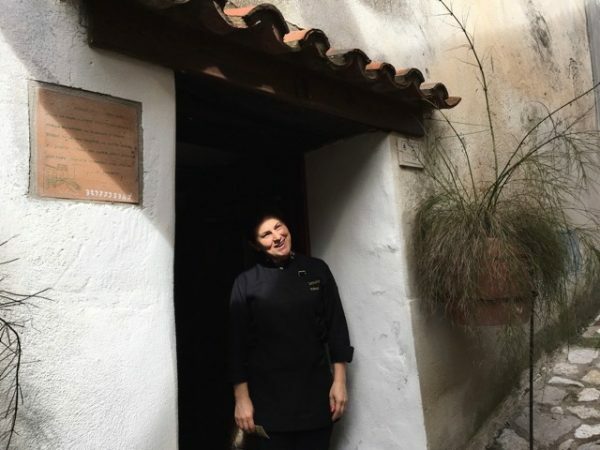 Lilla sliced her homemade bread, made with sour-dough starter and baked in a wood-fired oven, while Antonio uncorked a bottle of excellent homemade wine. A frugal tasting, we assumed. Giancarlo and I have tasted a lot of sausage and salami in our day, and this was exceptional. Encouraged, Antonio disappeared down below again and re-emerged with two cheeses and a salami, all of his own production. The table was filling up. 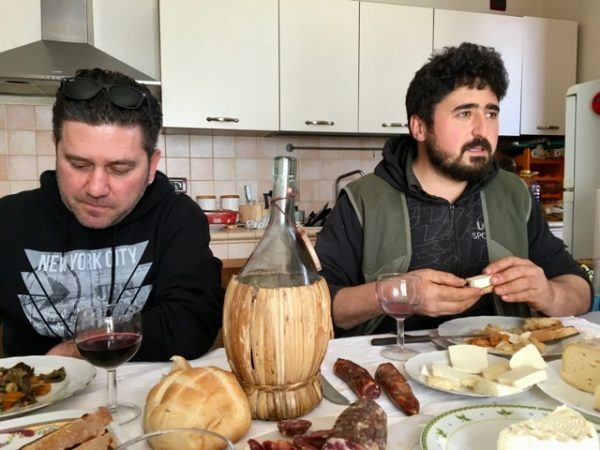 Enrico (left) and Antonio (right) enjoy their native food. Last (at least we were hoping it was), a cured sausage called nnoglia, which was stuffed with lungs and other of the least noble parts of the pig. Usually it’s used to flavour vegetable soups, but Lilla threw it on a grate over the fire that warmed the room. More delicious than you can imagine. 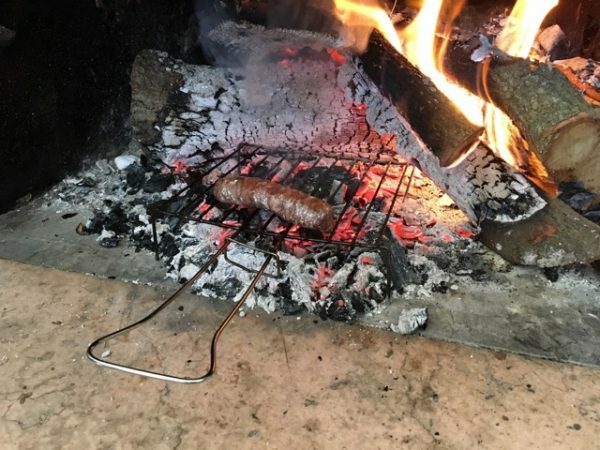 The nnoglia on the grill was already smelling tempting. She just happened to have some pastries from the local shop, and we weren’t allowed to leave without coffee and a digestivo, her homemade finocchietto, alcohol infused with fennel leaves and flowers. Good thing we hadn’t booked lunch at a restaurant! We felt enveloped by Lilla’s hospitality and cheerful disposition. 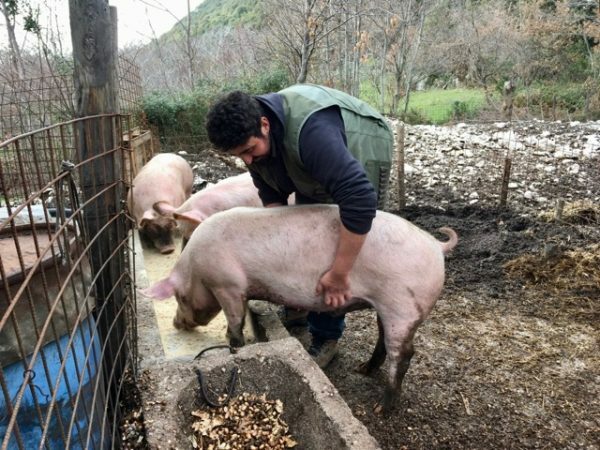 The pigs get some grub and a good scratch. Antonio is very fond of his animals. in the oak and chestnut woods where they have parties in the summer. I hope we’re on Antonio’s guest list. 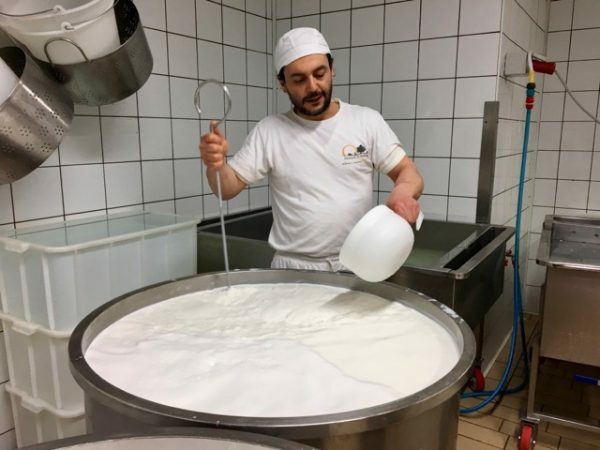 That evening at 10.30 Giancarlo and I had an appointment at Caseificio Prime Querce to watch the whole process of making mozzarella and its pasta filata (spun curd) relatives scamorza, burrata and caciocavallo. The head cheesemaker Antonio (everyone seems to be named Antonio) is, of course, a close friend of Enrico. He showed us every step, explaining the reason for each process and giving us generous samples to taste. At the beginning of the process Antonio ‘il Lupo’ adds rennet to the warm buffalo milk. Even though hIs nickname means ‘the wolf’, he was very gentle with us. 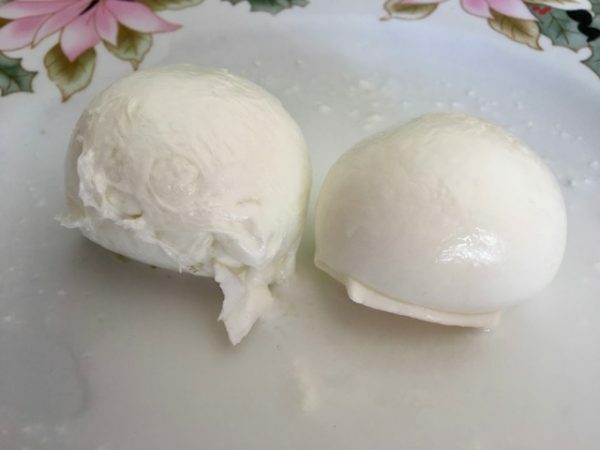 At the end of the process each mozzarella is pulled off the mass of spun curd (mozzare means to separate or amputate). Some is made by hand like this and some by machine. But the mozzarella wouldn’t be at its peak until it had bathed in brine for another five hours. We finally left around 2.45 am. 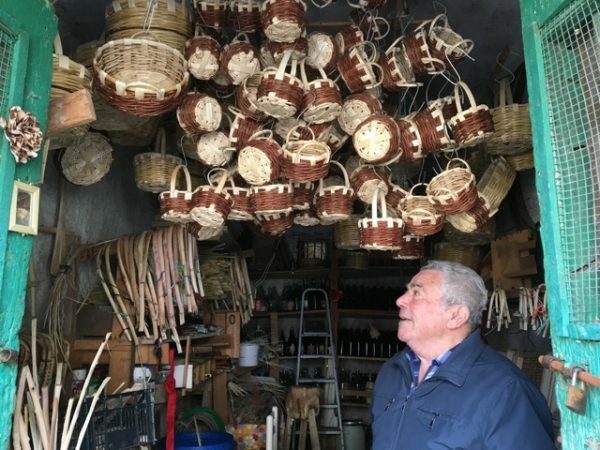 The next morning Antonio stopped by Enrico’s house to drop off two bags of mozzarella, one hand-formed and the other moulded by machine. It was a revelation! Juicy, firm and milky. How can I go back to eating week-old mozzarella in Tuscany? Would you believe you can taste the difference between handmade (left) and machine-moulded (right)? 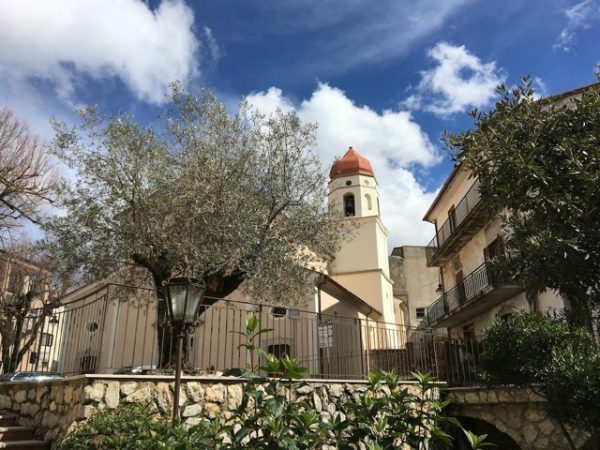 We still hadn’t had a tour of the town with Enrico and Audrey, so we set off up the streets of Trentinara, hailed and stopped at every corner by Enrico’s cousins and friends. At the top we made the day for Zì Cosimo, the basket weaver. 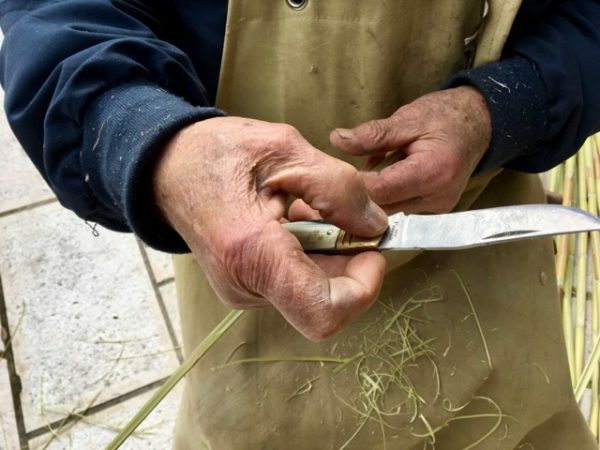 I learned that here ‘zì/zà’, literally meaning ‘uncle/aunt’, is a title of respect for older people. 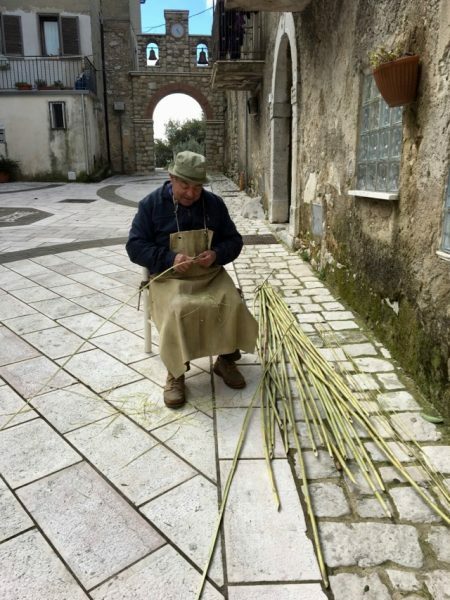 Preparing canes for his baskets seated on the paving stones Enrico laid for the town. View toward the sea from the arch behind Zì Cosimo. The ruins of the ancient Greek city of Paestum are on the plain around to the right. On the way to the restaurant for lunch we passed Enrico’s aunt carrying a basket of freshly baked bread from her wood-fired oven. 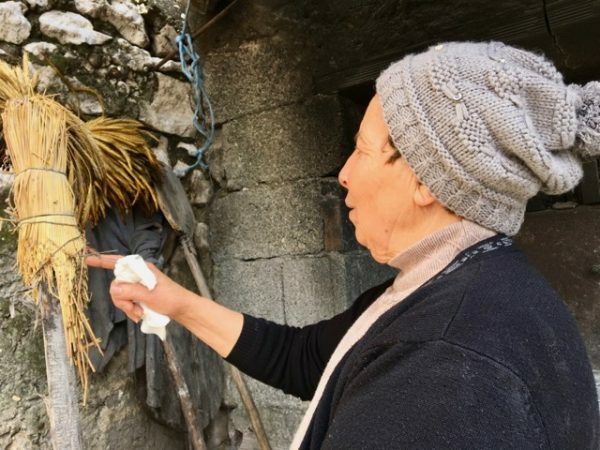 Zà Erene shows us the broom made of barley ears which she uses to sweep her oven. We were wondering how we could stuff in lunch after gorging on mozzarella for breakfast, but we needn’t have worried. 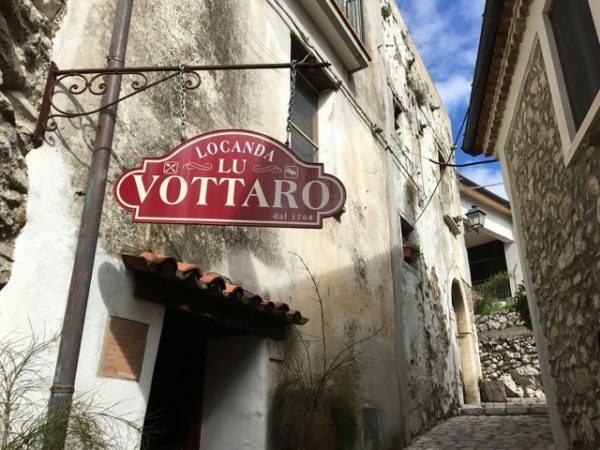 Locanda Lu Vottaro, owned by the chef Cristina—you guessed it, a friend of Enrico, was closed, but she opened specially for us and prepared a superb tasting menu. It was time to leave our friends Audrey and Enrico, this town and the people who we felt we already knew well. Suddenly I realised this must be what it’s like to go on a tour with one of us in the Slow Travel Tours group. You’re met at the station, transported to your accommodation, escorted to see places and meet people you could never find on your own. They open their arms to you because you’re accompanied by us, their friends. What better way to spend a holiday?